‘Tenacity’! Some people are just not born to settle down. Some people are never satisfied, always seeking more, pushing farther and climbing higher. ‘Tenacity’ by Ron Coury is about one of those people. ‘Tenacity’ is a memoir about Coury’s life and all of the trials and triumphs that he has faced in his time. Coury tells the entire story of his life in a stylistic, ‘Wonder Years’ sort of way that really makes you feel as though you are being taken along on the journey with him and that he remembers everything perfectly. I loved this style of writing that is based on recollection and has a dash of humor and embarrassment. 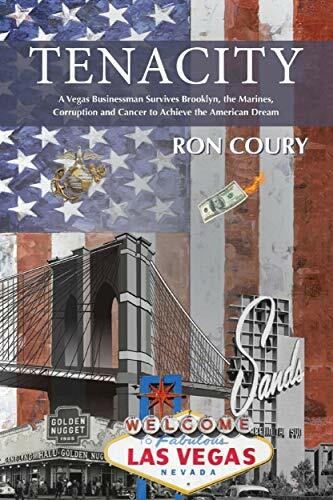 Coury owned something like 35 business in the Las Vegas area at one point and reading about a man who starts out with nothing building an empire is like reading about the American dream. I highly recommend it and give it 5 out of 5 stars.